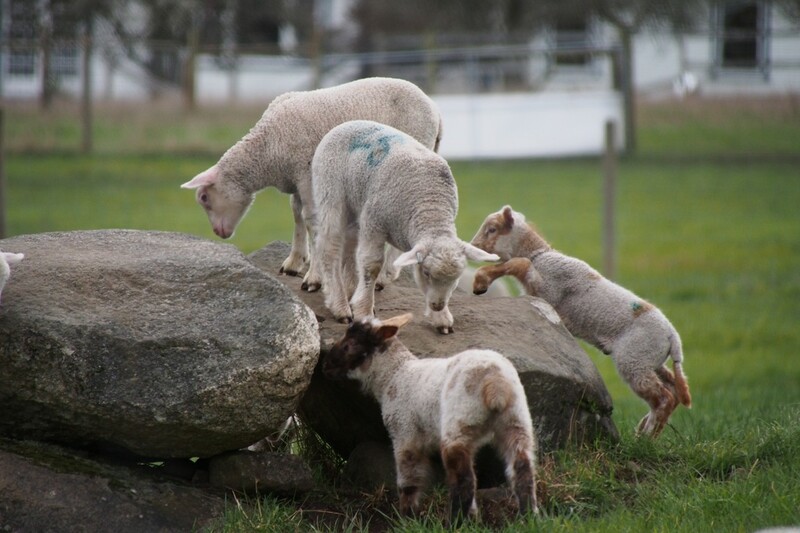 Lambing time is an exciting time for farmers and passerby’s alike. For the farmers, their herd increases and wool production goes up. For passerby’s it’s a delight to see the lambs frolicking in the fields. Lambing can be complicated and tragic as well as exciting and exhilarating. Complicated and tragic as a ewe can often have twins and complications can arise with the delivery if the farmer isn’t on hand. On the other hand, there is nothing more satisfying than waking up in the morning to see a new crop of lambs that the ewe’s had all by themselves. In driving down the country roads, lambs abounded. One thing that struck me as pecular was that the sheep had large numbers written on their back in different colours, until I noticed, that the lambs had the same numbers and colours spray painted on their backs as well. I’m sure the ewe’s don’t need a number to ID their young, but it sure is a big help for the farmers to know which lamb(s) go with whom. I watched one lamb with the number 147 hang out with numerous numbered mums until it finally came back to its own. And how did I know…? She had the number 147 in purple on her side as well. 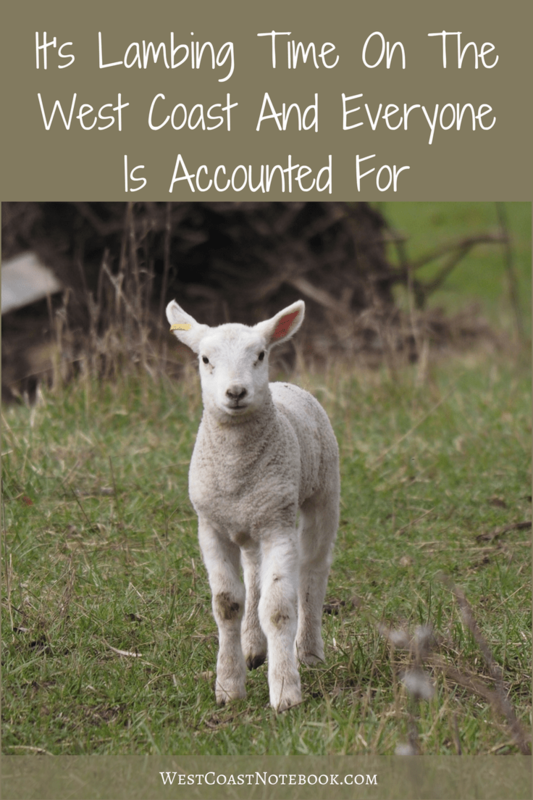 When I had downloaded my pictures at home, I also noticed that the lambs had bands on their tails so I did a little reading. Turns out they put elastic bands on the lambs tails in what is called docking, which means the end of the tail doesn’t get any blood so it ends up dying and falling off. Reading further, it appears that there really isn’t a valid reason for doing so other than sanitary reasons as it keeps the tail area clean from poop and lessens the occurrence of wool maggots. 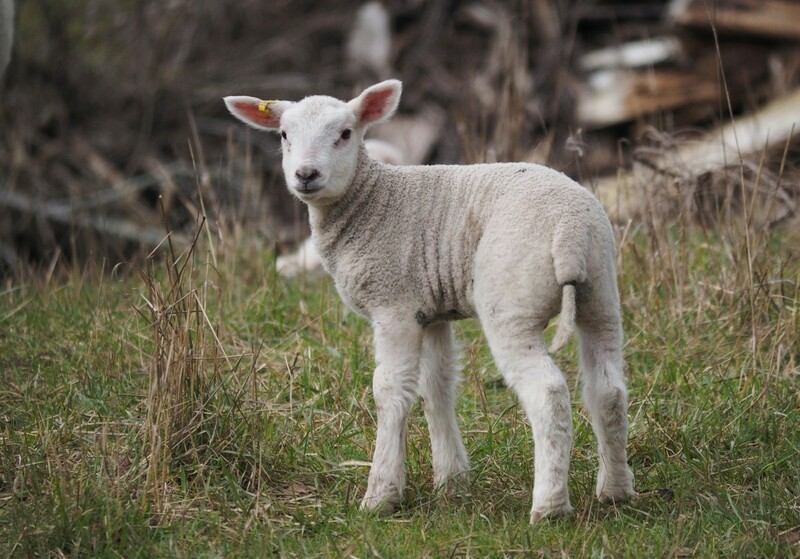 Lambs are usually born in the spring (March-April) and although it is common to have 1-3 lambs, most of the younger ewe’s will have just one lamb. 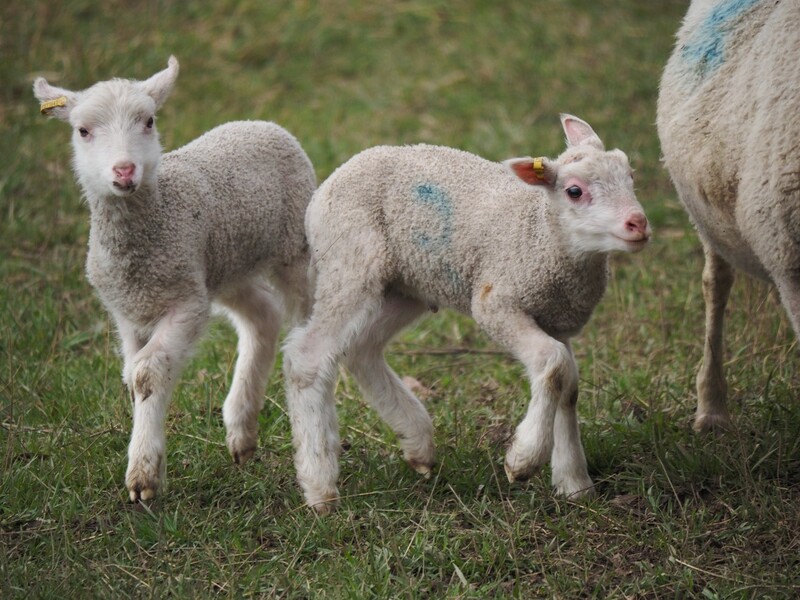 Lambs are between 5-8 pounds when they are born. Did you know that sheep can actually recognise up to 50 other sheep faces for 2 years and that they recognise human faces as well? Sheep and goats are often mixed up, but they really are two different species. Goats have more chromosomes (60) than sheep who only have 54 chromosomes. In New Zealand, there is more sheep than people. There is 7 sheep for every person which is down from 1982 when there were 22 sheep for every person. I don’t know how they milk one, but sheep’s milk is ideal for making cheese. It contains a higher amount of calcium, vitamins A, B and E and other nutritional elements than cows milk. I particularly like sheep feta. Most sheep are sheared once a year for their wool, but there are some breeds that need to be sheared twice a year. The wool that is produced has the following properties. Because of its insulating properties, it makes an ideal source for clothing, like sweaters, jackets, blankets and so much more. There are more than 200 different breeds of sheep on the planet. Sheep have excellent hearing and sight and can see behind themselves without turning their heads around. While all that might be true, I get my kicks out of watching the lambs gambolling in the fields with their mothers, nursing and butting the ewes so hard it makes them stagger. Coming across a group of lambs laying together hiding in the grass or finding the tallest hump, hillock or stump to stand on and survey their new and awe-inspiring world. 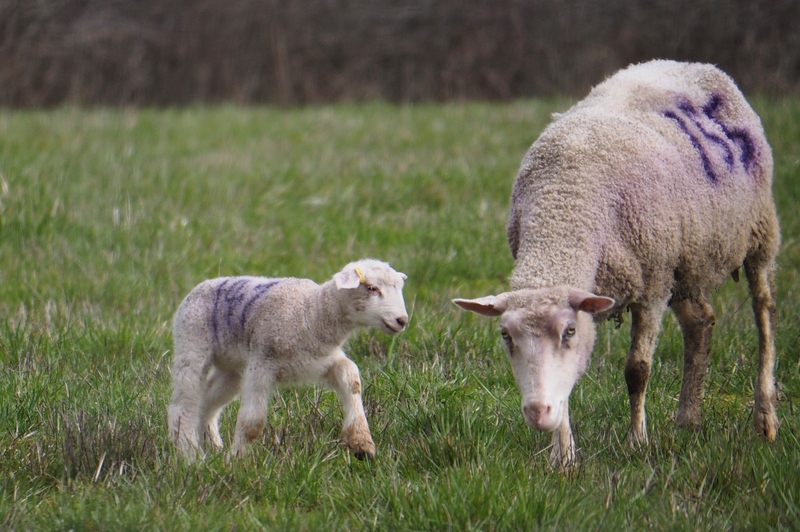 Lambing in the spring is an event not to be missed.